Traveling overseas with students can be the experience of a lifetime, however, it can also lead to headaches when unexpected events occur. Kate Goggin, author and former Community Liaison Office Coordinator, recently wrote about the most important tips to keep in mind when planning an international trip for students. To learn more about the the 10 items below, click here to read the full article. 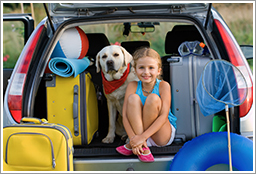 For more information about how to better prepare for a school trip, or for additional considerations, contact a Knowledge Broker at R&R Insurance.